KORG Volca Sample is iOS only to transfer samples? WTF Korg? I knew the unit didn’t sample on its own, but I didn’t know it was iOS only. That’s pretty stupid. They should have at least given you a way to just connect usb to a windows machine. I still think it’s a cool device, but I have no plans of ever getting an Apple product. 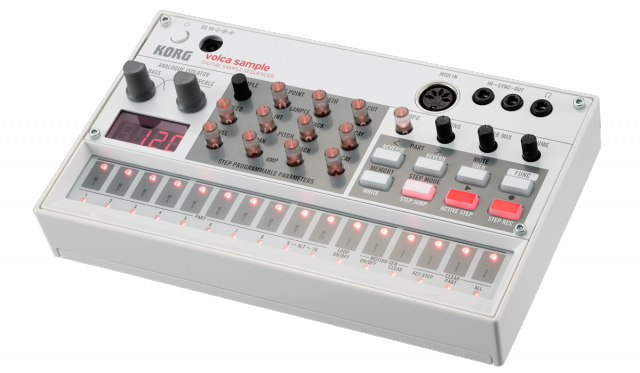 The KORG volca sample is a fun-looking sample “sequencer” – it can play back, modify, and mangle pre-recorded samples in a step sequencer. But it requires a dedicated iOS app to do the actual sampling. – right, but then it leaves out one of the best things about those hardware samplers, namely – sampling. With that disappointment out of the way, the volca sample otherwise is full of some cool ideas. Let’s have a look at what it can do. And you can motion-sequence each of these. There’s also per-sample reverse and reverb, plus overall reverb mix and swing. via KORG’s Latest volca sample Sequences Sounds – But You Need an iOS App to Add Your Own Sounds – Create Digital Music. This entry was posted in Bedroom Producer, DJ tools, Drum Machines, Electronic Music, Music Production, Musical Curiosities, Reviews, Technology and tagged apple monopoly, dj tools, how to transfer samples to korg volca sample, ios, korg vocal, midi hardware, sample, small analog sequencer, volca series on April 18, 2015 by DemonicSweaters.